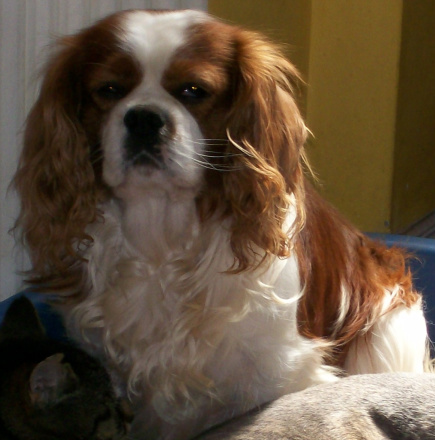 A sleepy looking Louie having a 'bad hair day'...lol!! 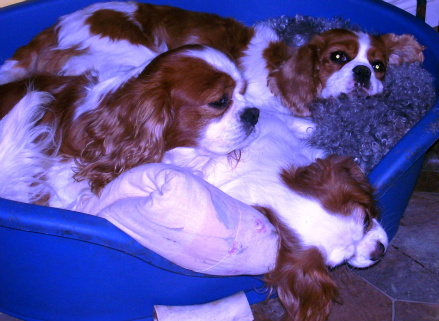 We share our lives....and our sofa's, with a small 'family' of blenheim cavaliers. 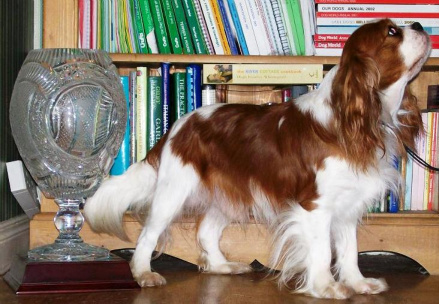 Louie 'Collooney Red Andy Of Rushden' (Collooney Jump Jack X Ronnoc Princess Kiara) joined our show team back in 2002 and was consistently placed at the show he attended. 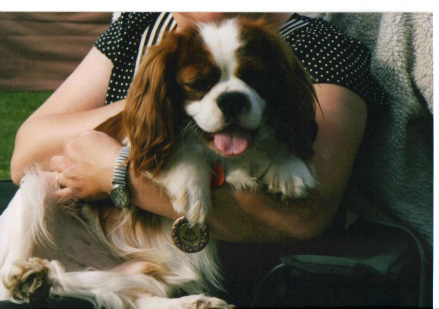 He won numerous Green Stars and Best of Breeds and topped it all in 2006 by winning Best In Show at The Cavalier Club of Ireland. Now retired from the show ring, but still very fit and active, Louie enjoys leisurely strolls in the country and can more often than not be found (and heard!) 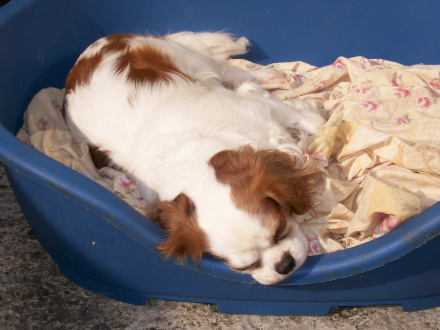 snoring LOUDLY on a comfortable sofa!! 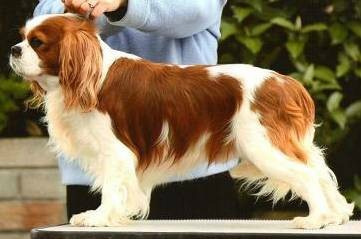 Angel 'Bacchante Bryony at Rushden' (Ocuaigs Calyipso Bacchante X Bacchante Boudicca) was campaigned in the showring as a youngster and accumulated many class wins, best of breeds, and Reserve Green Stars. 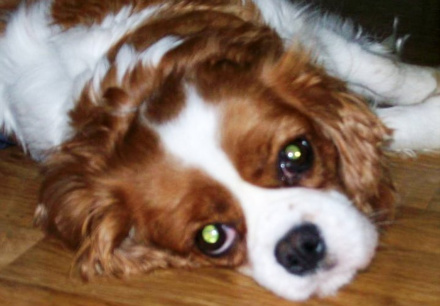 Now days Angel prefers to spend her time relaxing at home. 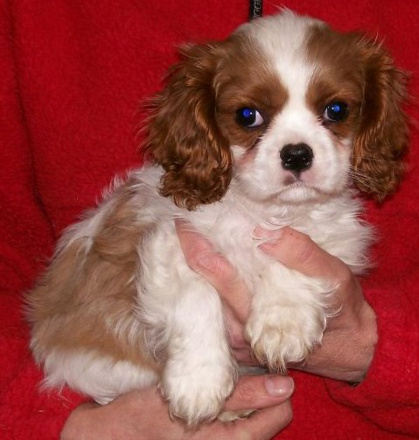 Kizzy 'Summertime Ally' (Martha's Ice X Ally's Girl) joined our cavalier family in early 2010. 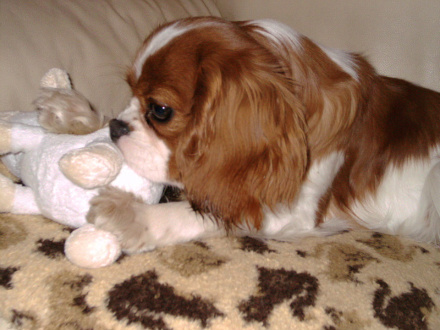 Just like Louie and Angel she is very affectionate and has a very happy, outgoing personality - All traits which are typical of this lovely breed. 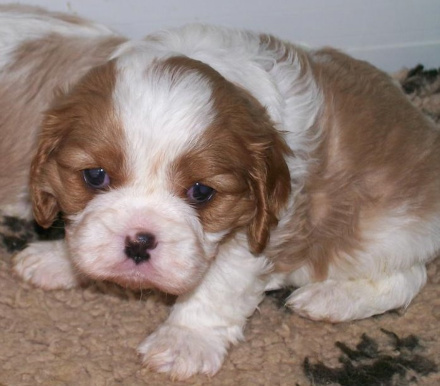 Click on the photo's below to see the current Rushden cavalier family and cavaliers previously bred by us.